Airspace — Lovelin. | Limited Edition Clothing. Join the freestyle jumping revolution. 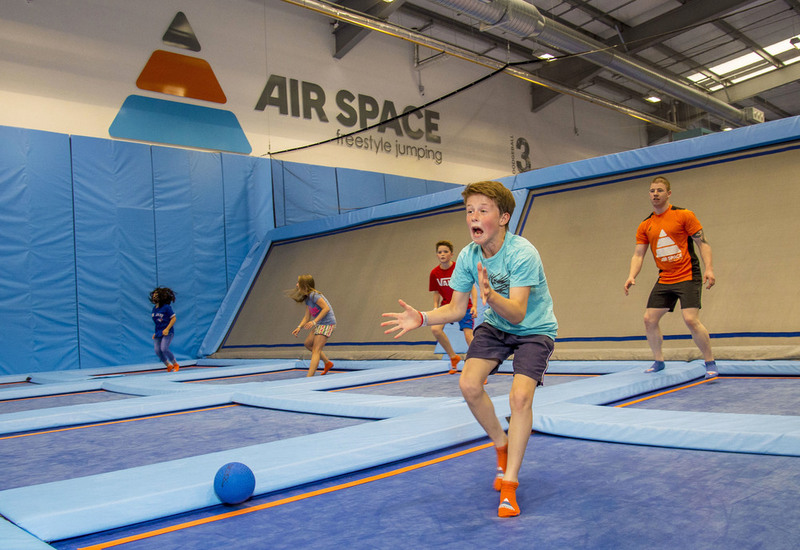 Air Space is a huge spring-loaded urban playground with over 100 interconnected trampolines. How you jump is up to you. You can improvise your own moves in the main freestyle jumping arena by bouncing from one trampoline to the next. Join in with team sports as you’ve never experienced them before . 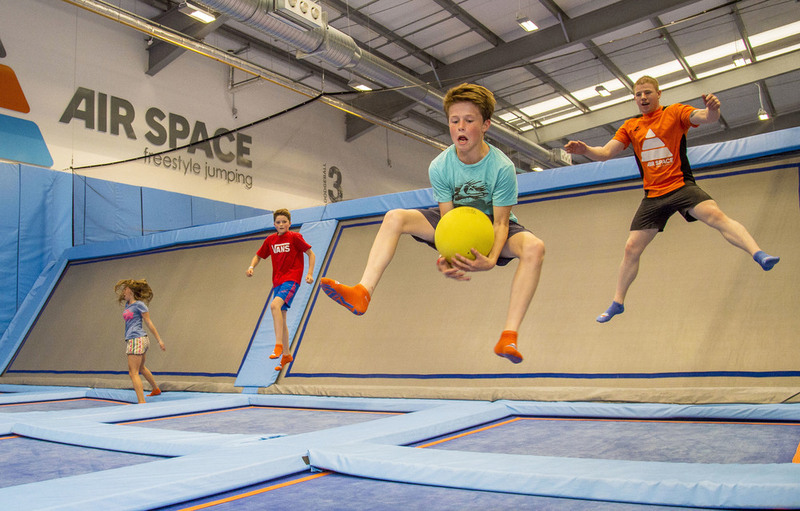 Dodgeball, basketball and football – all on super-sprung pitches whats not to love. 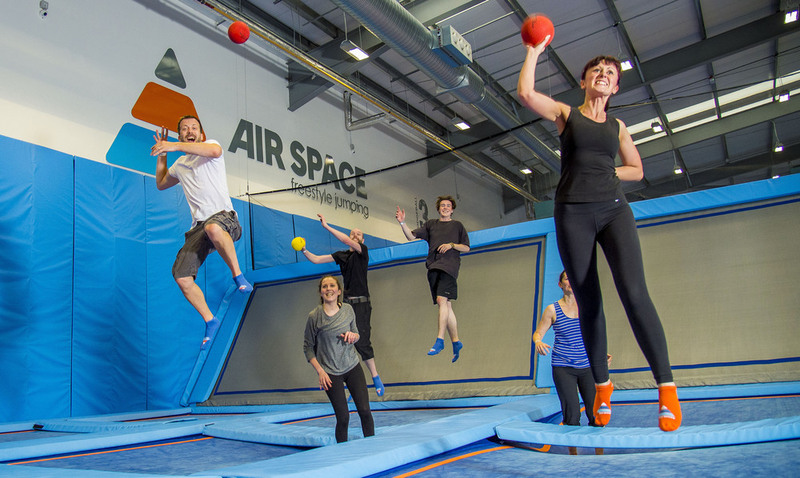 Air Space is an energetic new urban sport which is as much fun, rush and uninterrupted air as you can handle. that’s 365 days, 11,952,000 minutes of bounce time as well as a whole lot of fun in that time. To celebrate their first amazing year, they have teamed up with ourself and Yorkhill Children’s Charity to create a limited edition stylish event tee. As with all our collaborations and partnerships £5 of each sale of the limited edition tee bought ether here in store or at Airspace will go to help supporting the fantastic charity that is Yorkhill Children’s charity.